Below is an annotated list of children's literature for the elementary classroom. The books are organized by the Six Elements of Social Justice Curriculum Design (Picower, 2012). It is based on work by pre-service teachers at Montclair State University. Teacher candidates have read and reviewed these books and provided insights into how they can be used in K-5 settings. If you have any questions or comments, please email bree@nycore.org. Summary: Age should never be a barrier for standing up to what you believe in, especially for children. This book guides children to show them of many ways they can change the world, such as through volunteering to help the homeless or writing a letter to the president. It includes real life stories of child activists who have stood up for their beliefs by following similar steps, such as Malala Yousafzai, who at such an early age fought for the rights of girls. Workbook pages in the end of each chapter, help children think more concretely about their issues, expand their research, ask for help from others, collaborate with others, and use creativity to find solutions for those issues. 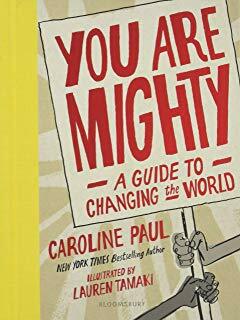 Element 6: You are mighty: A guide to changing the world shares multiple steps and methods that children can take to make a social change. It includes stories of young activists who were able to stand up for their right despite their age. Through these stories, it explains the methods they used to have their voices heard such as making a video on social media, writing a book, or making a protest sign. For all these methods, it includes step by step instructions on how students can create similar opportunities as others before them. Activities: You are mighty: A guide to changing the world includes various activities that teachers can use in the classroom. It includes instructions on writing a letter, making a protest sign, creating a petition, and becoming allies with others. One activity I thought about while book is to have students think of or research a concerning topic that resonates with them. This could be pollution in their community, violence in the streets, or the school serving bad lunch food. From these topics I would ask students to write a letter to the person in charge of the community, school, or maybe country. Each chapter ends with a workbook page that includes directions and tips of how to create a powerful effect. The workbook page after the Write a Letter chapter, is explicit on the proper way to write a letter to get you voice heard. I would have students follow those tips in order to create a letter that their engagement in social action. are represented beautifully through accompanying art. transformative change-makers face when organizing and raising awareness. is outstanding for using in inquiry based discussions with students at any age. This book is all about social movements and the people behind them. its very own website when I purchased it. Please go to the link below to buy the book! wealth of resources and a study guide included on the site. Summary: Martin Luther King, Jr. and Abraham Joshua Heschel whose names stand for the quest for justice and equality. This book discusses Martin who grew up at a time when this country was plagued by racial discrimination. He aimed to put a stop to it by preaching love, unity and acceptance and marching for his cause. Abraham grew up many years earlier, in a Europe that did not welcome Jews. He moved to America, where he became a rabbi carrying a message of peace and acceptance. The book tells their stories as icons for social justice, how they formed a remarkable friendship and turned their personal experiences of discrimination into a message of love and equality for all and how they took social action by marching. Element #6: Social Action This book discusses the social actions that took place to fight against discrimination. It covers marches and boycotts and rallying from when Martin was young and continues to the marches, he took part in as a preacher and activist. It is a great resource to begin exposure to social action, more specifically marching and protests as a form of social action. 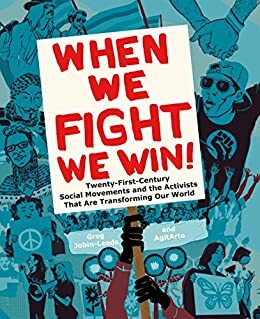 Because this book not only covers the social action taken but also the events leading up to it, it also provides students with a greater understanding of issues that lead to people taking social action. Students identify issues they feel passionate about and learn the skills of creating change firsthand. Activity: This book can be used in several ways to cover a variety of topics. It could be used component for students to gain information about the life of Martin Luther King as well as well Abraham Heschel. Students can complete a chart about what they knew previously about these activists and what they learned about them. It can also be incorporated when discussing the topic of unity. Students could answer a writing prompt regarding the commonalities in Martin and Abraham’s stories and how that helped them to unite in order to fight for justice. This book can also be used in conjunction with other books when introducing students to types of social actions that they can take. The book begins with with Rosa Parks, a well loved seamstress, leaving work and getting on the bus. When she gets on the bus, there are no more seats in the "colored" section and she sits in the white section. When she refuses to move, she is arrested. Word travels to Dr. Jo Ann Robinson, a professor at the University of Alabama and the President of the Women's Political Council. Dr. Robinson gathers twenty- five women in her office to start organize the Montgomery Bus Boycott. The book goes on to show how these events lead to Dr. Martin Luther King Jr and the November 13, 1956 Supreme Court case Browder v. Gayle Ends Bus Segregation that ruled segregation in public places to be illegal. 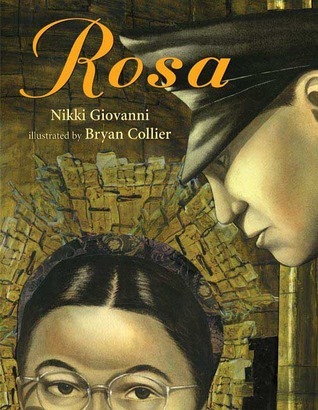 Rosa is a great example of Social Movements and Social Changes because it shows how a social movement can start. Rosa Parks' story and the Montgomery bus boycott shows how a everyday person's choices and bravery can start a movement. The book also shows light to the strong women of the Civil Rights movement who usually get over shadowed by other male civil rights leaders. 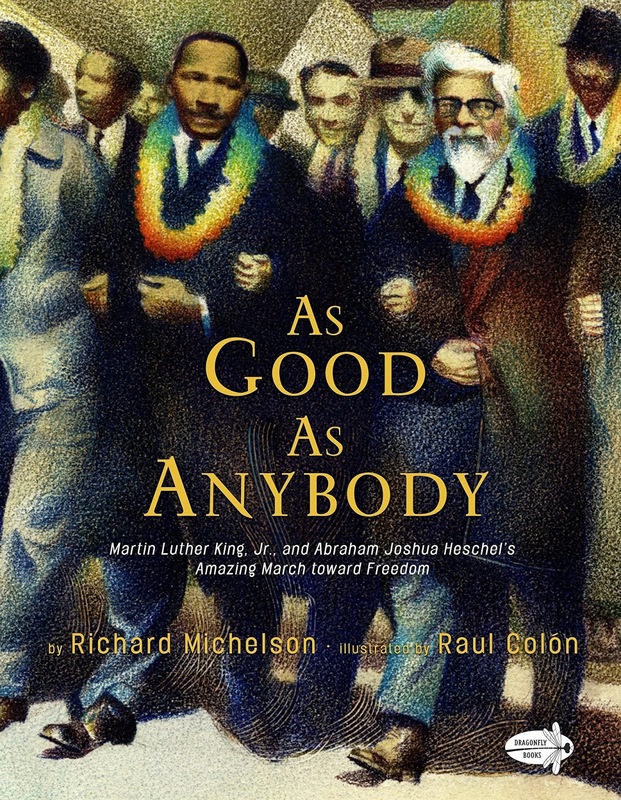 Rosa does a great job of scratching the surface of the beginnings of the Civil Rights movement and Montgomery Bus Boycotts and introducing the players students may know, Rosa Parks and Martin Luther King Jr., and introducing people like Dr. Jo Ann Robinson into these events. Rosa does a great job of showing how everyday people, seamstresses, mothers and teachers, can start a movement. This opens up a great journal prompt of what can you do as an everyday person that can be extraordinary. To start the lesson brainstorm ideas with your students about what they could do that could help there community. Remind students these do not have to be as big as helping start the Civil Rights movement, but rather small changes we would like to see in our community. Use examples like cleaning the playground, snack choices in the cafeteria, and other ways they can become more active in helping the community and create change. Than let the students go back and write about what they may like to do to help their community. Summary: This is a story based on the author's experience as a refugee from El Salvador during the military coup in the late 80s from the perspective of a child. The title is a metaphor for families turned refugees and that they continue to move and will reform again. 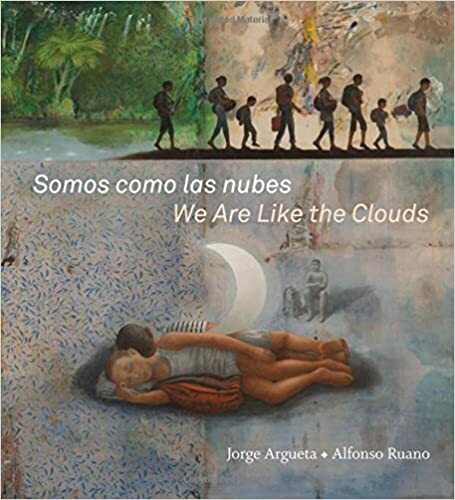 The story is in poetry form and written in both Spanish and English. Argueta is clear about the necessity to flee his home for the sole reason of safety which alludes to the unjust views that those fleeing had ulterior motives. The use of poetry helps to convey the emotions a young child forced to leave everything behind and encounter experiences most people never encounter. Element 4/5: This is a book that teaches the injustices that prevent people from obtaining asylum and raises awareness of the realities of asylum seekers from Central America. This is an upper grade lesson plan for teaching why people flee their home countries. This site also provides lessons and resources for teaching about Central America. ISBN: 9781554988495 | Published by Groundwood Books. 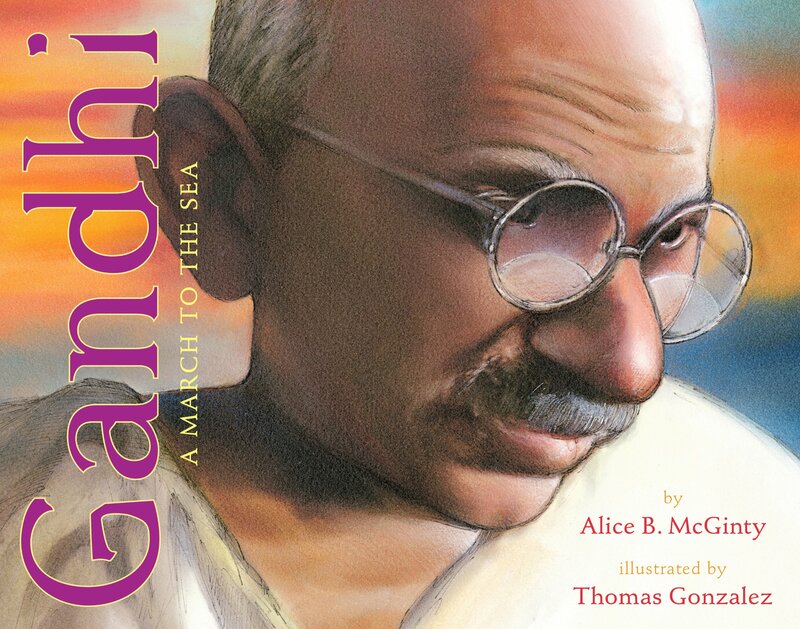 Summary: In this book, it explores Gandhis 24 day march from March 12 to April 5, 1930. It explains the reason as to why Gandhi led the revolution such as high taxes and unfair trade. It shows how he peacefully managed to lead people who had hope of a better future and life into freedom. The book is a fairly short read and leaves the reader to focus mainly on illustrations. It explains how he taught Indian natives how to sew their own garments instead of having to buy from the British as well. It also shows how he managed to unite people of all backgrounds and religions to come to the same victory of true independence for unfairness. At the end of the book it also shows maps and deeper explanations to the things discussed in the book. This book directly relates to this element because it shows how an "everyday person" was able to transform the lives of a nation to the better living that they deserve. It also shows how small changes and the voice of one can lead to a worldwide movement agains unfairness and inequality. This books shows this through peaceful protests and unity. I think that a mini play/skit would go great with this book. Students would be able to act out citizens having issues with laws and unfairness (such as tax on salt and clothes) and how they are desperate for change. Students would also be able to show Gandhi's frustration yet peaceful lead. Students can also act out the march, the pushback from the government, and peoples doubts. I think that there is enough roles in this book alone for an entire class!